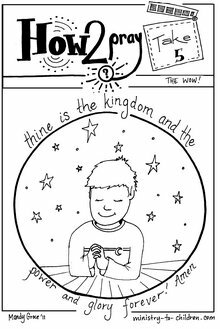 This is the final sheet in our free Lord’s Prayer coloring book. It is based on the traditional ending, “Thine is the kingdom and the power and the glory forever. 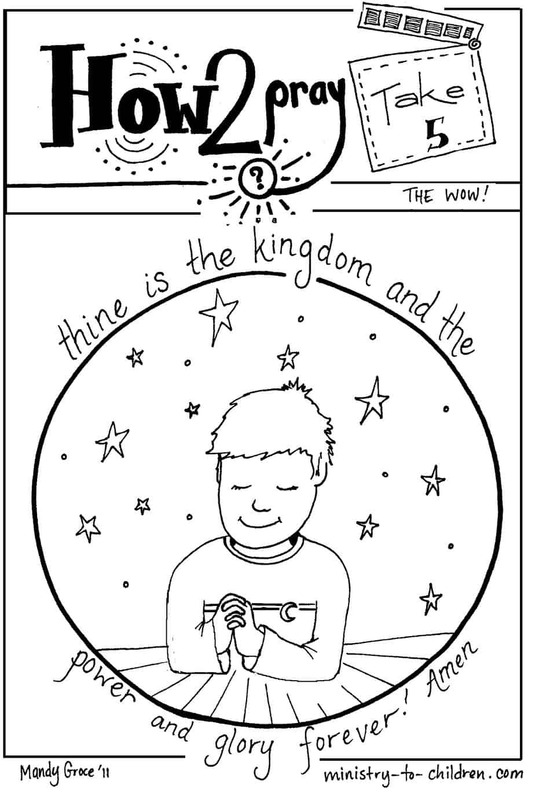 Amen!” This page is designed to show the “Wow” of prayer, even young children can talk freely with Almighty God. The illustration has a boy kneeling in the posture of prayer. Directions: You can right click on the following links to download this coloring page. If you like this page, be sure to browse all our Christian coloring pages. You can also leave a comment below to encourage the artist who created this series. Thank you for helping me as a Sunday school teacher ,to teach well with the coloring pages. God bless you. Tony Kummer (Editor) reviewed & updated this page on : September 23, 2011 at 9:13 am. All our content is peer reviewed by our readers, simply leave a comment on any post suggest an update.